Designed and manufactured in the UK, the latest LED Caparo is available in 8ft. The original fluorescent T12 batten was available in 2ft up to 8ft, however it was phased out in 2012 in accordance with new EU environmental legislation. Although there are T5 and LED alternatives to the linear luminaire, they were never available in 8ft. The release of the 8ft LED Caparo has a number of advantages over 2ft or 5ft alternatives. With shorter luminaires, a greater number are required to generate the same lux levels. 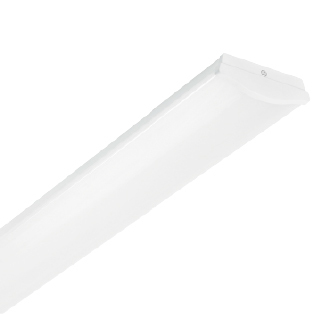 Consequently, the 8ft luminaire boasts the benefits of a lower purchase price coupled with lower installation costs. The 8ft Caparo also benefits from having excellent uniformity of illuminance.